James E. "Jim" Luckadoo, age 83, of Rutherfordton, NC, died Monday, January 9, 2017, at Cleveland Regional Medical Center. Jim was the son of the late Norman Luckadoo and the late Mafrey Henson Luckadoo. Jim was a native of Rutherford County and a member of Sandy Springs Baptist Church. In addition to his parents he was preceded in death by his wife Willie Mae Luckadoo; three sisters Ada McComas, Annie Mae Stacey and Mary Walker; a grandson Richard Lee Terry Jr.
Ronnie Luckadoo and his wife Donna of Forest City. Tony Luckadoo and his wife Shelly of Shelby. The family will receive friends from 6:00 PM to 8:00 PM, Wednesday, January 11, 2017 at McMahan's Funeral Home. The funeral service will be at 2:00 PM Thursday, January 12, 2017 at Sandy Springs Baptist Church with Rev. Philip Bailey officiating. Interment will be at Sandy Springs Baptist Church Cemetery. Memorials can be made to Sandy Springs Baptist Church 382 Sandy Springs Rd Rutherfordton, NC 28139. 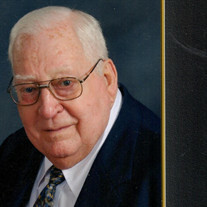 An online guest register is available at www.mcmahansfuneralhome.com. McMahan's Funeral Home & Cremation Services is in charge of arrangements.